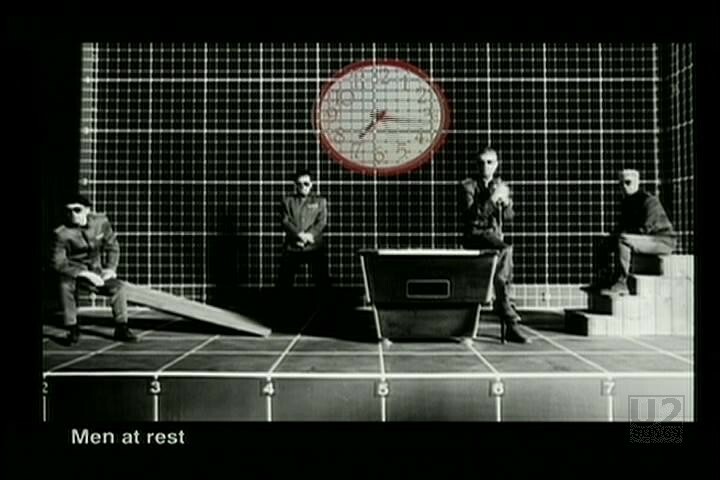 The U2 video opens with a reenactment of one of these photos “Man walking” with the Edge photographed walking against the grid background. It switches back and forth with “Man walking (twice Speed)” which is Larry walking at a faster pace, and “Man running” which is Adam. All three are dressed alike in their Zooropa era style suits. Bono is dressed as Macphisto without the horns, and later as The Fly. 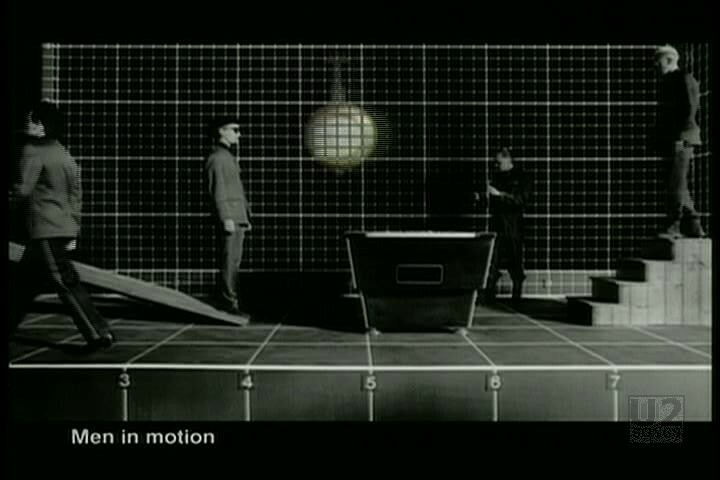 The video is shot in black and white and features the band going through a number of routine motions against the grid background. Hints of colour appear behind the grid, a fire, a full moon, goldfish, dollar bills etc. There is some footage of the band in a smoke-filled room as well. 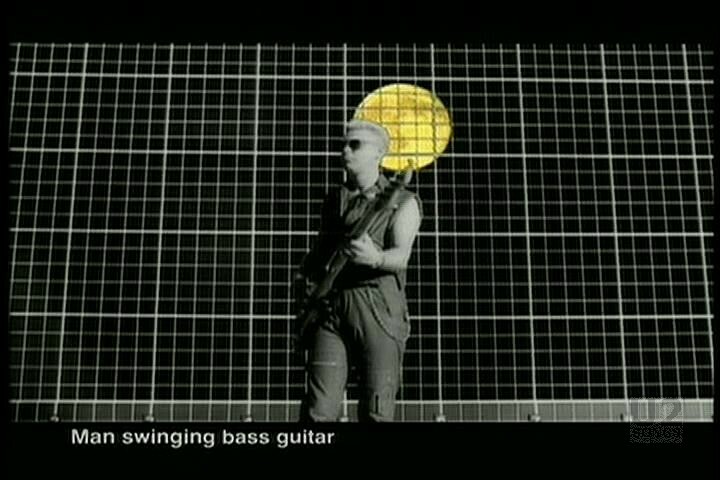 The video uses the shorter edit of “Lemon”. 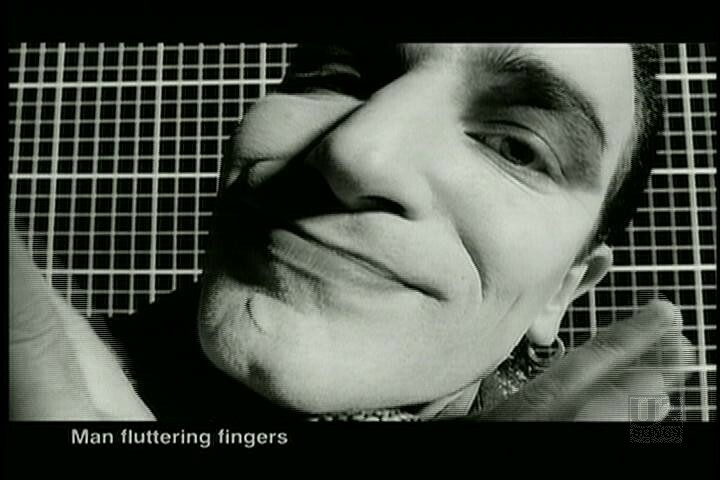 A second version of this video has been played by French music channel MCM, it is identical to the normal version, but instead of English text, French text is used instead. 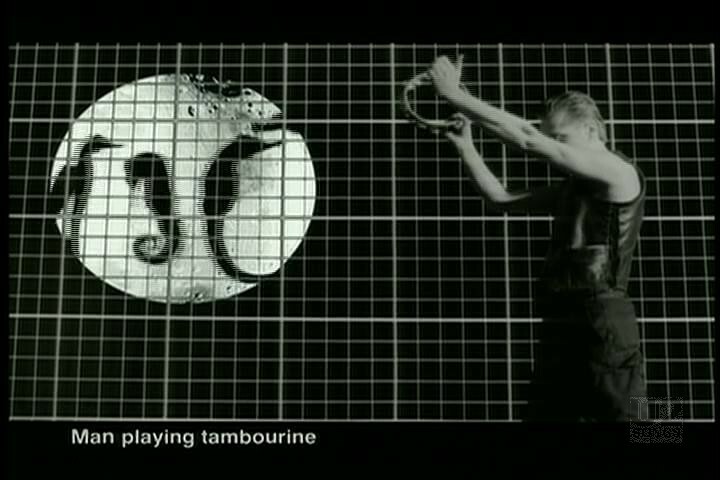 Whether the video was officially produced for the French Market with these titles in French is unknown. 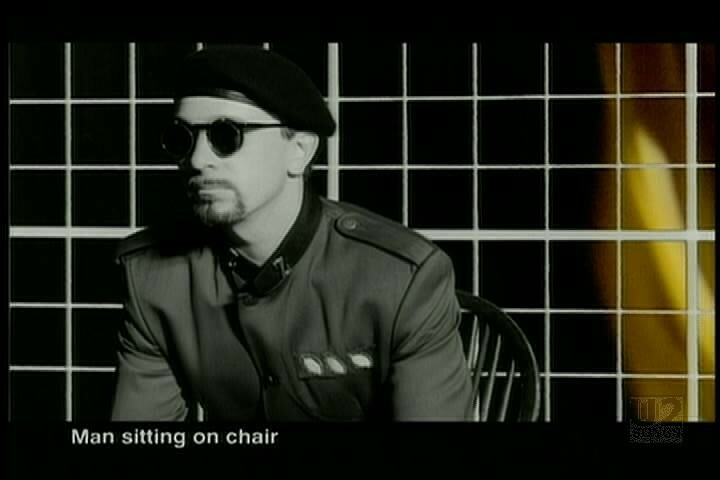 The video was filmed while U2 were in London performing on the “Zooropa” leg of the Zoo TV tour, in the middle of the month. The video began airing the week of September 17 as an exclusive to MTV, and only becoming available to other outlets the following week.